When you buying tubigrip, there are a number of different options to choose from. It comes in a variety of lengths, sizes and colours depending on what you want to use it for. 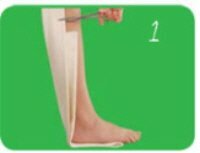 Tubigrip is a specially designed compression bandage that helps reduce swelling and provide support. 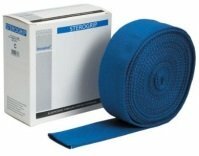 It is particularly useful after an injury, surgery or with longer term problems and is an important part of PRICE treatment (protect, rest, ice, compression and elevation). You can find more about how it works in the Tubigrip guide. The choice can be a little overwhelming so we have searched the web for you to find the most competitive prices from trust worthy sites to bring you the best products. UK Shipping ranges from free to approx £3. 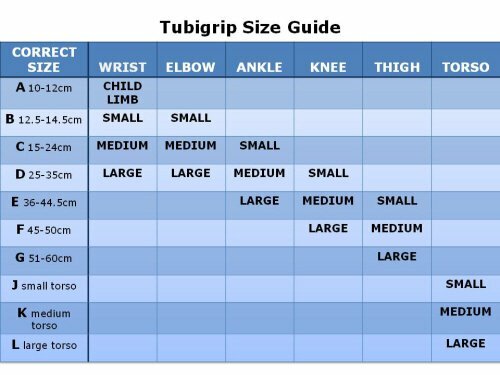 Before you start buying tubigrip, make sure you check out our Tubigrip size guide, to make sure you get the perfect fit. If you are shopping in the US, visit the tubigrip page for US Customers. 10m: best long term value for money as you can cut the tubigrip to the right length for you to prevent wastage and it means you can have a spare for when you are washing it! 0.5m: long enough for a single layer only. Suitable to keep dressings in place. Tubigrip usually comes in a natural beige colour. Some sizes are also available in blue. All prices stated here are for the beige colour unless specified. Please note, Tubigrip is the most common brand name for elasticated tubular bandage. Other manufacturers have different names from it such as Sterogrip and Tubula but they are all essentially the same product.